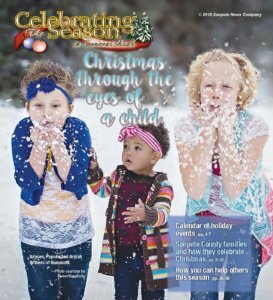 I read with interest the article labeled, “Sanpete Messenger celebrates 125th anniversary,” which appeared in your Nov. 22 edition. In particular, I noted the comment by R. LaVaun Cox, who served as publisher between 1946 and 1960. Those were the years in which I went through the public school system—elementary school in Sterling, junior high and high school in Manti, and then Snow College in Ephraim. Publisher Cox mentions the peacemaker role undertaken by the Messenger over the years. I can attest to one major change where that contribution was very important. During the summer of 1956, between my junior and senior year, the schools in Manti and Ephraim were consolidated. There was great angst in both communities, as well as both student bodies. The focus was on what each had lost rather than what each had gained. We seemed certain a great mistake had been made. The apprehension was misguided. Each would profit. Manti’s athletic program was stronger, but by the end of the first year after consolidation, it was clear to me that I would have to ratchet up my emphasis on academics to be competitive with the students from Ephraim. I was not alone. It was a wake-up call—especially for the boys. In retrospect, I think it is clear that the merger worked wonders, not only for the junior high and high school, but for higher education in Ephraim. Before the merger, students attended high school on campus. Afterward, the college’s limited facilities were no longer filled with high school students, and its enrollment shot upward. In the fall of 1957, along with most of my classmates, I became part of what I believe was the largest freshman class in the history of the college up to that time. Since then, the college has continued upward in numbers and quality, and now ranks at the top of junior colleges in America. I have no doubt that the Sanpete Messenger helped facilitate this remarkable and most important achievement, but there were many others deserving of credit and thanks. On the broader front, Manti and Ephraim cooperation has also had a positive influence on the local economy and will continue to do so during the years that lie ahead. Similarly, the consolidation of the newspapers, which you have now accomplished, is likely to produce a stronger product with a corresponding positive impact. I extend sincere congratulations to all who have helped achieve these cooperative advances over many years and wish for ongoing success in this special part of Utah.